Holiday Cost : Just £1995 including flights! 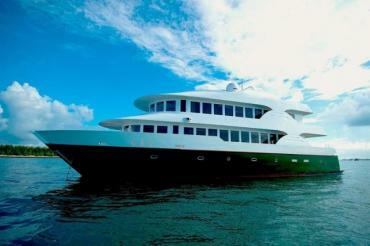 MV Virgo is the renamed Ark Venture, now being run by the exceptional Constellation fleet that includes MV Orion. After landing in Male we will be taken to the boat and the adventure begins. Virgo dives the seasonal hot spots with an average of 3 dives a day and all diving is from a dhoni tender. All marine park fees, Breakfast, Lunch and Dinner, 12lt tank and weights are included in your package as well as FOC nitrox. All trips are fully guided with 2 expert guides. Flights are with Sri Lankan. Excluded are the Maldivian departure tax, transfers to and from London Airports, alcohol, fruit juice, fizzy drinks, additional kit hire and any on board souvenirs. Please let us know if you have any dietary requirements. 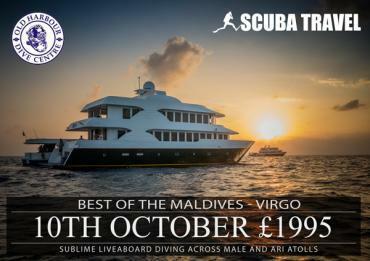 The Best of the Maldives does just what it says on the tin - you dive the best and most famous dive sites of the Maldives in a single week. The Best of the Maldives itinerary aims to mix up big fish manta and shark dives with scenic reefs dives, hunting out the smallest reef fish, morays and macro life that are so abundant. 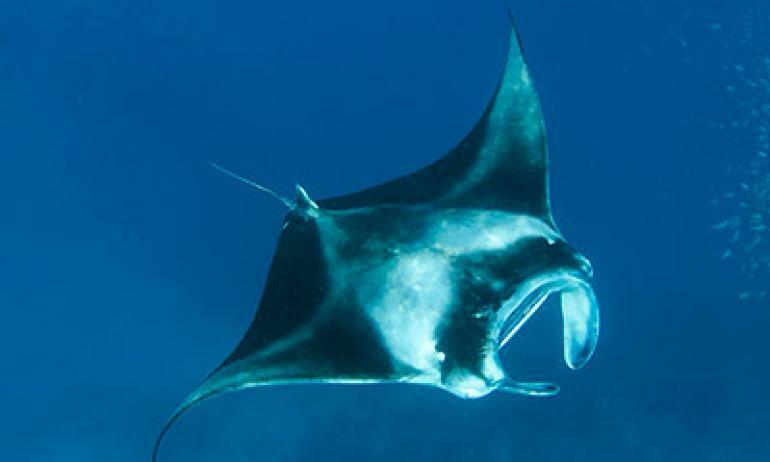 Cleaning stations allow you to get up close and personal with massive Maldivian manta, and dives at Manta Point, Dhonkalo Thila and Madivaru provide just such opportunities. Maaya Thila is one of the best known dive sites in the Maldives and for a good reason. This pinnacle is about 30m diameter that descends to reveal sharks and fish a plenty. Night diving here is hard to beat and should not be missed. Log yet more pelagic sightings as grey reef sharks patrol the Ari Atoll area. The boat will also take some time out along the route to look for whalesharks you can snorkel with - grab your fins as these gentle giants can move fast! 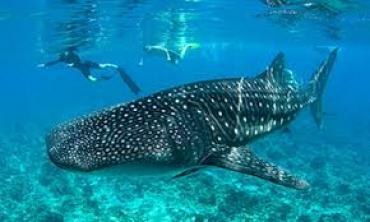 The Best of the Maldives is an ideal itinerary for any first time visitor to the Maldives. Divers should be comfortable with drift diving but no minimum no of dives is required. All diving is made from dhonis to give precision entry and exits points. Night diving is limited to sheltered moorings but well worth jumping in for. With so many excellent and remarkable sites in and around North - South Male Atolls and the Ari Atolls.